The Kirovograd flight academy of National aviation university is a higher educational institution IV of level of accreditation which carries out preparation and retraining of experts for civil aviation. The activity of GLAU is certified by the International Aviation Committee of CIS countries, licensed by the Ministry of Education and Science of Ukraine. In 1951 was created the Kirovograd military aviation college of pilots of distant aircraft which trained experts for military and air forces of the Soviet Union Army. In 10 years school was renamed on the highest aviation school of pilots of the Air Force. This school existed from 1951 to 1960 and prepared flight staff for Military and Air Forces of the Soviet Union Army. With the decision of the Soviet government, the school stopped its activity. On its base was created the Kirovograd school of the highest flight training of Civil aviation. Since 1971 started working the museum in educational institution. 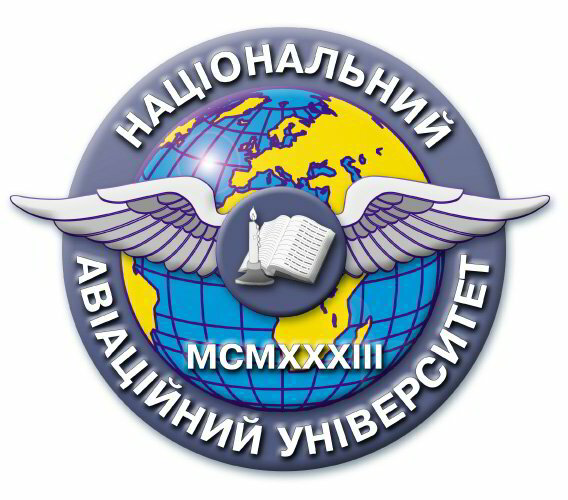 In 1993 by the resolution of the Cabinet of Ministers of Ukraine the educational institution was given the status of the State flight academy of Ukraine. In 2000 the KSFAU joined the UN program TRAINAIR - the international program of preparation of the aviation personnel for civil aviation and it became the member of the Innovative center of the international educational programs "INKOS". In 2011 KSFAU joined to the National Aviation University. High quality of education in academy is based on the wealth of experience strengthened by long-term traditions. During the existence by our educational institution more than 110 thousand aviation experts were prepared, including 4 thousand citizens from 66 countries of the world. Our graduates work on all continents of the Earth and hold different posts. For high quality of training of aviaexperts for the Republic of Cuba, the educational institution was awarded with the Cuban order "De la SOLIDARIDAD", and for a great contribution of preparation of highly qualified personnel for aviation of Ukraine it got a silver medal of the International academic rating "Gold Fortuna". Kirovograd State Flight Academy of Ukraine is certified by State aviation service of Ukraine, which confirms its compliance with provisions of the certification of educational institutions of civil aviation of Ukraine, to Rules of certification of aviation educational institutions of civil aviation on preparation of an aircrew of Ukraine and requirements of the Joint aviation administration of Europe of JAR-FCL, and given the right to carrying out the preparation of students to obtain the certificate of crew member and making qualifying marks in the crew member certificate. At all faculties trained representatives from more than 30 foreign countries. Our graduates are high-demanded on a labor market and continue to increase a glory of "alma mater" with selfless work. Today the State flight academy of Ukraine is a pride of Kirovograd region, a unique component of national education of Ukraine and an important component of the international educational space. Nowadays the Academy provides training on the such specialties: Aircraft Flight operation (commercial pilot for single engine aircraft, commercial pilot for multi engine aircraft), Aircraft Production, Technical Maintenance and Repair (technical diagnostic and non-destructive methods of monitoring, flight engineer), Air Traffic Servicing (air traffic controller, air navigation information and flight planning officer, computer flight servicing officer, emergency servicing and flight safety officer), management of the organizations (manager-economist), management of foreign economic activity (manager-economist). The academy has the unique infrastructure, allowing to make theoretical, training and practical (including flight) training of pilots, dispatchers and other experts of civil aviation in full accordance with the international requirements and standards. Today the State flight academy is a powerful educational scientific-industrial complex which includes air navigation institute (faculty of service of air traffic, training center and retrainings of personnel in a control system of air traffic), the Kirovograd flight school, training center of search and rescue, the training centers, airfields and services of their providing, aerotechnical base, flight group, scientific and technical library, publishing house, hostels, dining rooms, a sports complex, recreation center, etc. Here carries out multilevel training of pilots; dispatchers; engineers of repair and diagnostics of aircraft; Maintenance Aircraft engineers; employees on ensuring flights; specialists in emergency service and safety on an air transportation, the state order managers on a contract and a day basis, correspondence form of training, and also retraining and increase of qualification level of the aviation personnel. Cadets of KSFAU wear a uniform. High quality of education in academy is based on the wealth of experience strengthened by long-term traditions. During the existence of the KSFAU from our educational institution graduated more than 110 thousand aviaexperts, including over 5 thousand citizens from 81 countries of the world. mechanics and designs of the aircraft equipment. Aircraft Flight Operation, qualification Commercial Pilot of Multiengine Aircraft (Pilot-Engineer) - 5 years. Aircraft and Engines Production, Technical Maintenance and Repair, qualifications Flight engineer and Engineer for Technical Diagnostics and Non-Destructive Methods of Monitor - 5 years. Term of training is 9 months. The training is carrying out in Russian and English. Term of training is 18 months. Total flight time is 165 hours. The training is conducted in Russian and English languages. Cоmmercial pilot with the right to fly multi-engine aircraft by instrumental flight rules (CPL/MEL/IR). Term of training is 30 months. Total flight time is 300 hours. The course is conducted in Russian and English languages. Postgraduate Courses – term of training is 3 years. 11 USSR Council of Ministers Prize winners. The Kharkov aviation institute was founded in 1930 and originally it had two faculties - aircraft construction and engine building. At the first time there were 12 teachers and 69 students. In 1932 flew up the first Europe's passenger plane with the retractable landing gear KhAI-1, developed by teachers and students of KhAI. In 1935 the teacher of institute A.M. Lyulka designed the first domestic turbojet engine. Since November 1937, in KhAI has worked reactive group, designed the first rockets. In 1953 in KhAI began works on creation of jet torches for drilling of strong breeds, constructed the wind tunnel. Due to the development of rocketry techniques begun the preparation of specialists on its design and production, opened the radio engineering faculty. In 1978 for outstanding achievements in area of training of highly qualified specialists and in scientific researches the institute was named after the founder of modern aerodynamics and hydromechanics Nikolay Zhukovsky. In 1980 KhAI was awarded by the Order of Lenin. In 1992 KhAI began training of foreign citizens. In August, 1998 on the basis of the Kharkov aviation institute was created the National Aerospace University named after N. E.Zhukovsky. 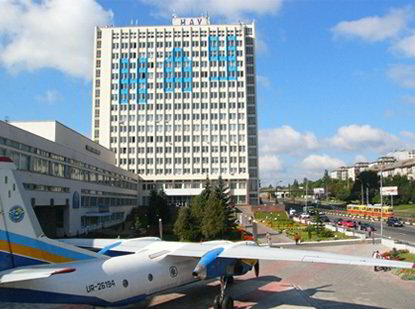 On September 11, 2000 KhAI was given the status of "national" and a name of "National Space University named after N.E.Zhukovsky "The Kharkov aviation institute". 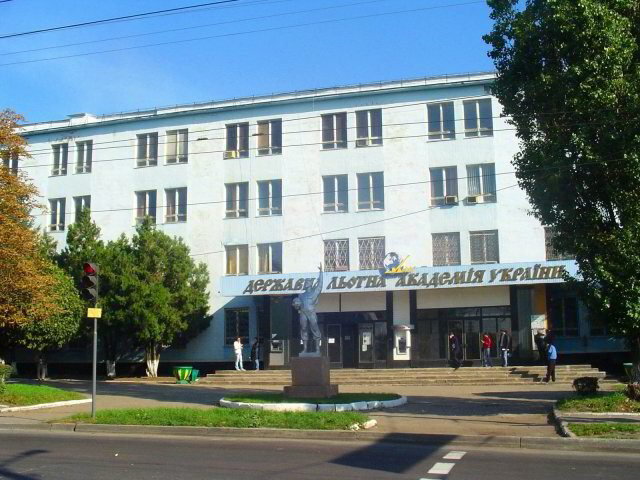 For years of the existence, KhAI -Kharkiv National Aerospace University prepared more than 53 thousand engineers. 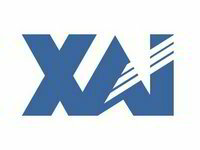 Among experts with the higher education, working in aerospace branch of Ukraine, 80% of graduates are from KhAI. The National Aerospace University is the collaborator of the International space program "the Alpha", and also scientific projects with firms of the USA, Japan, Germany, Mexico, the Netherlands, China. The university is proud of achievements of the scientists in the field of supersonic aerodynamics, durability of aviation designs, designing of aviation and rocket engines, control systems of aircraft and many others. Inventions of scientists of university are patented in more than 20 countries of the world. Also KhAI is the constant participant of the international exhibitions. All the foreign students can visit the Kharkiv Aviation Plant, Aviation Manufacturing Enterprise "Liliental", Pilotless Vehicle Center, Training Center CAD/CAM/CAE, research laboratories (laboratory of hydraulics, laboratory of wind energetics), Wind Tunnel Hall, Constructions Hall, Engines Hall, Airplanes and Helicopters Hall. Also foreign students can see famous sights of Kharkiv: Opera and Ballet Theatre, Monuments of 2nd World War Victory, "Old Kharkiv" district, Memorial complex to victims of 2nd World War, Cathedrals and churches, Squire of Freedom (the largest squire in Europe), art exhibitions, Historical Museum, Museum of Nature, Planetarium. Material-technical base: 8 educational buildings, 2 research institutes, scientific and educational laboratories which are equipped with 1200 computers with access to the Internet, the center of the computer integrated technologies CAD/CAM/CAE, library with fund over 1 million copies, reading rooms, student's design office, swimming pool, sports complex, preventurium clinic of first medical aid, dining halls. The KhAI takes part in such international programs, as Program of Tempus/Tacis European Community, Scholarship programs of the DAAD German Service Academic Exchange, Program of International association of students and young specialist, involved in economy, management and AIESEC information technology, Edmund Masky Scholarship Program, The Fullbright Academic Exchange Program, The Program of the Council of IREX International Scientific studies and exchange "Act in support of the liberty". The term of training on the full-time post-graduate course is 3 years and on the distance instruction is 4 years. The graduates who wish to enter the post-graduate department should pass the entrance exams on major subject, foreign language (Russian or English) and philosophy. "Aircraft Engines and Power Plants". PhD (3 years of training in Russian or Ukrainian), full-time education 3500$ for each year. PhD (3 years of training in Russian or Ukrainian), full-time education.For graduates of the KhAI with honors – 3200 $ for each year. PhD(3 years of training in Russian or Ukrainian),correspondence education – 2650$ for each year. PhD (Training in English) – 5000$. more than 900 candidates of science, associate professors. Leading experts of airlines and the industrial enterprises are involved in educational process. Among teachers - 80 honored workers of science and winners of the State awards. The territory of basic educational institution of university takes 90 hectares, the total area of 14 educational buildings is 140 thousand sq.m. 60 planes and helicopters, 42 aviation engines, 3 complex aviation exercise machines, 240 onboard systems and modeling stands and 5562 modern computers are used in educational process. 15 institutes, 7 colleges, technical school, 2 lyceums, Center of the air and space law, European regional centers of International Civil Aviation Organization (ICAO). Student campus includes 11 hostels. Total living area is 70 504 sq.m. All the rooms are equipped with new furniture and household rooms with new plumbing and washing machines. Also there are two 2 sports grounds on campus. Book fund of scientific and technical library has more than 3 million copies. The university has educational fly grounds, a unique aviation hangar, the signals training area and the outdoor range of aircraft land equipment, aerodynamic and training complexes. On the basis of the NAU educational aviation technical base there is the State museum of aviation of Ukraine. The university campus a dining room, the Internet cafe, the medical center equipped with the modern diagnostic and medical equipment, sanatorium dispensary, billiards club "Aviator", student's club. The university has recreation facility on Desna. There is a yacht-club and aviation modeling and hand gliding courses. Today NAU is one of the most powerful aviation higher educational institutions of the world. Here study 50 thousand listeners, among them 1200 foreign students from 49 countries of the world. Powerful scientific and pedagogical schools prepare not only experts of an engineering profile, but also economists, lawyers, ecologists, translators, psychologists, sociologists, etc. 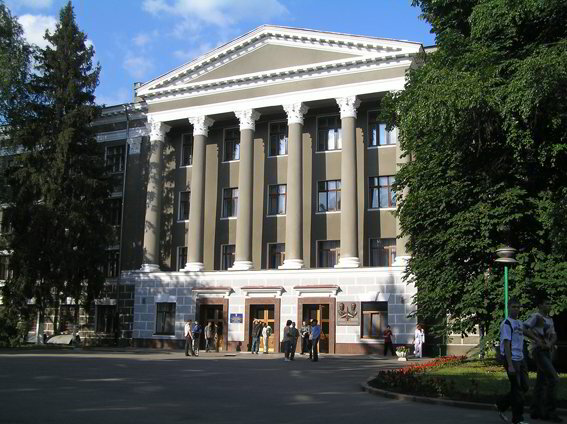 The University includes the basic institution of higher education, Kiev institute of management and information technologies, college of information technologies and land management, industrial-economy college in Kiev, Kremenchug flight college, Krivorozhsky and Slavic aviation colleges, aerospace lyceums in Kiev and in Lubny, professional lyceum in Kiev. At National aviation university operates powerful schools of sciences in areas of management, mechanics, electronics, and electrical equipment, materials science, informatics and computer facilities. The National Aviation University collaborates with the International Civil Aviation Organization (ICAO). Foreign students, who do not speak Ukrainian or Russian language, are credited to the Preparatory Faculty. Duration of training is 1 year. National Aviation University consists of 16 institutes: Institute of Information and diagnostic systems, Aero- Space Institute, the Institute of Electronics and Control Systems , Institute of Computer Technology , Institute of Urban Development, Institute of Economics and Management , Institute of Air and Space Law, Humanities Institute , Institute of ICAO, Institute of Correspondence Education and Distance Learning, Institute of Advanced Technology, Institute of Continuing Education , Institute of Land Authority and Information Technology , Institute of Technology Management , Institute of International Relations.